Shot Perfect is the only camp of its kind in the country! 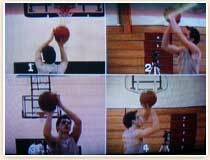 The Shot Perfect staff teaches a shooting technique that is based on 25 years of continuous research at the high school, college, and NBA level, all supported by kinesiology (the study of human movement). Why Should You Choose Shot Perfect? Before attending any basketball camp, each and every player, coach, and/or parent should know what makes the camp they've selected better than all the rest. 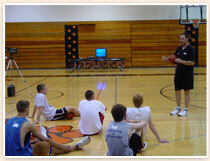 That being said, what sets Shot Perfect Specialized Shooting Camps apart from other camps? The shooting technique introduced is based on twenty years of research and is supported by six specialized fields of science. The camp includes a 90-minute classroom session where players are actually made to understand the benefits of the technique being taught. Shooters are simultaneously videotaped from four different angles using a split-screen monitor and slow motion review. Players are introduced to problem identification and problem solving techniques, including specific home and court drills designed to advance and enhance their shooting performance. Campers are introduced to "Rollback," a game designed to fine-tune one's shooting accuracy. Shot Perfect "Tune-Up" Camps are strategically scheduled throughout the year to ensure shooter development and consistency. There is limited enrollment to allow for optimal educational quality and attention to participants. 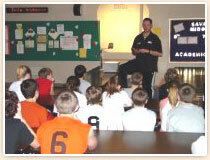 There are opportunities for years of future individualized coaching after attending.